As I mentioned in both the Actor Spotlight on RDJ and the Avengers Assemble post (check out the links below), I have been anxiously awaiting the release of Avengers: Age Of Ultron for quite some time now. However, I clearly was not the only one as the film made $191 million in its opening weekend! That’s the second biggest of all-time, coming in just behind The Avengers release in 2012. Therefore, I finally went to see it this past weekend and I absolutely loved it! 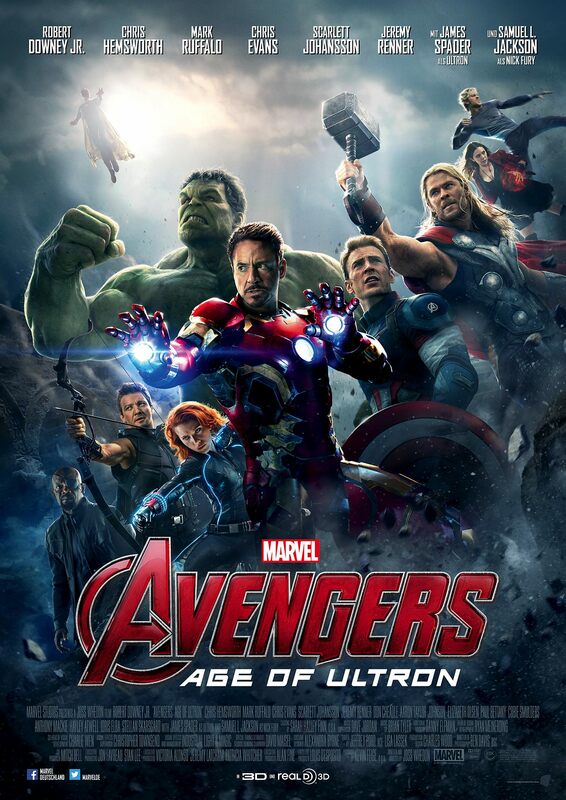 For those of you who are new to the Marvel Avengers world, this film is the first time the entire group has been together since the attack on New York in the 2012 film The Avengers. This sequel focuses on Tony Stark’s (Robert Downey Jr.) attempt to jump-start a dormant peacekeeping program, which accidentally turns into the creation of the villainous Ultron (James Spader). As a result, Stark, Captain America (Chris Evans), Thor (Chris Hemsworth), and the rest of The Avengers all have to band together to try to stop Ultron from wiping out the human race. The rest of this post contains a couple small spoilers regarding the plot of the film, therefore if don’t want to know anything about the film STOP READING!! The film begins on a battlefield as the entire team fights their way towards a building in the Eastern European country of Sokovia, in an attempt to retrieve Loki’s scepter. During this action sequence, the team has their first encounter with the Maximoff twins, Pietre a.k.a. Quicksilver (Aaron-Taylor Johnson) and Wanda a.k.a. Scarlet Witch (Elizabeth Olsen). 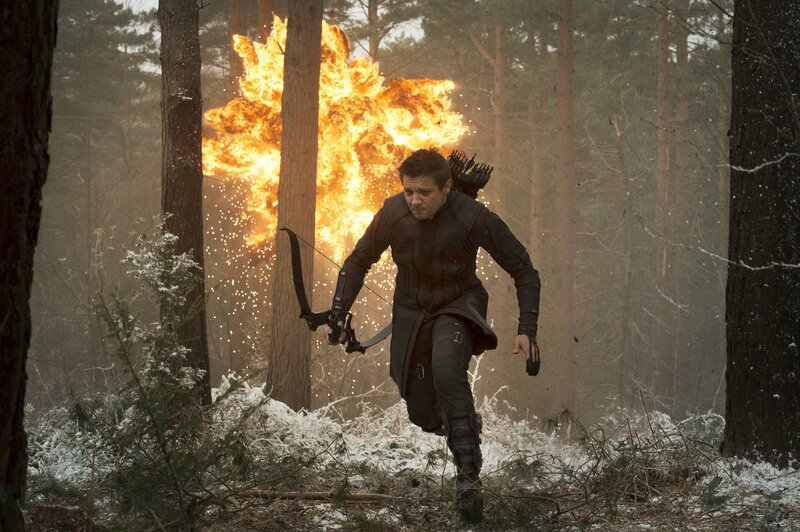 Hawkeye (Jeremy Renner) is injured in the fight and needs to be stitched up, but the Avengers prevail and obtain the scepter. 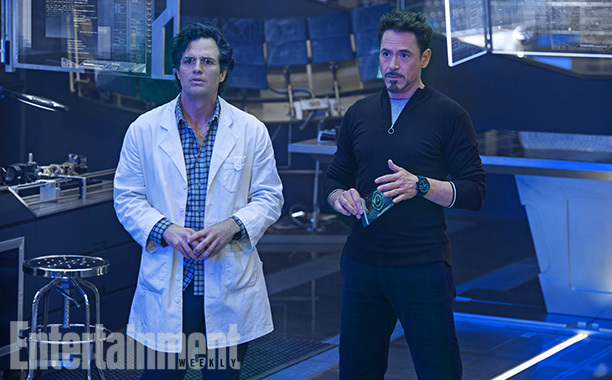 Stark and Banner (Mark Ruffalo) spend three days analyzing the scepter in an attempt to create artificial intelligence for a global defence program. They think they have failed, so they go to a party that Stark has thrown for all the Avengers and a few Shield members. However, the program continues to attempt to succeed and within an hour Ultron is born. We are shown an excellent electronic view of his mind! Ultron analyzes how he was created and who the Avengers are, and the he explodes into a horrific rage and destroys Jarvis! 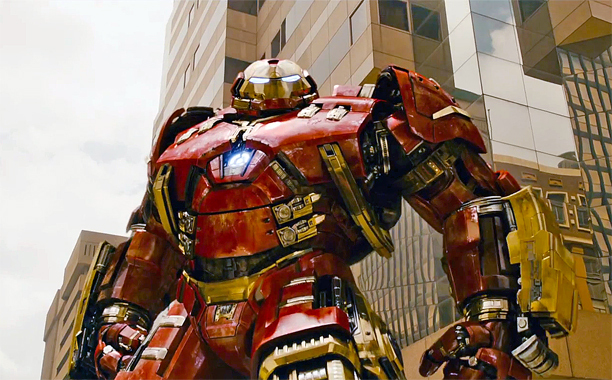 He then reboots one of Stark’s robots, attacks the party, and declares war on the Avengers. 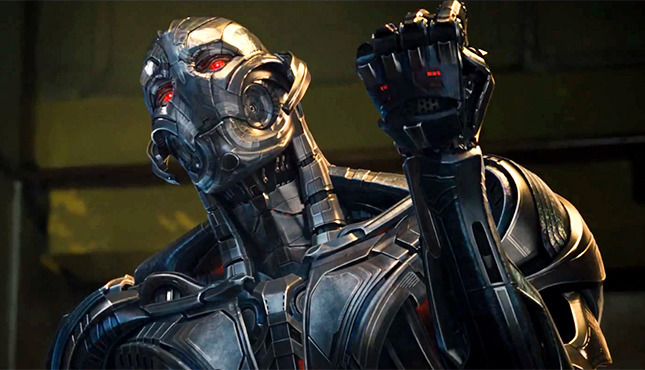 Ultron escapes through the internet to the base in Sokovia; he then proceeds to upgrade his body, recruit the Maximoff twins, and begins building a robotic army. The twins choose to follow Ultron because they both want revenge for the death of there parents who were killed by one of Stark’s bombs. 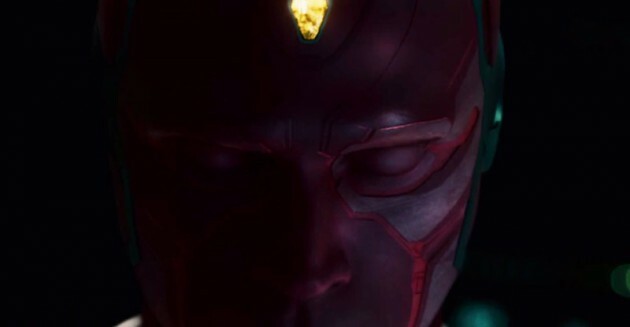 After the Ultron’s attack at Stark’s party, the team deduce that Ultron is trying to steal the element that was used to make Captain America’s shield. Even though they are divided regarding the creation of artificial intelligence, they still decide to come together in order to face-off against Ultron in Africa. Upon arrival, the Avengers quickly learn that they are not solely fighting Ultron, as he now has the Maximoff twins on his side. The Scarlet Witch traps Black Widow (Scarlett Johansson), Thor, and Captain America into horribly haunting visions of their past and/or darkest thoughts. However, her true mission was to set off Bruce Banner, who then begins to level the closest city as the enraged Hulk, which requires Iron Man’s biggest suit to calm him down. These distractions allow Ultron and his robot army to sneak off with the vibranium. The team is clearly shaken after this encounter, so in order to stay off the grid they all take refuge at CLINT BARTON’S HOUSE … which means he secretly has had a family this ENTIRE time! Soon after their arrival, Nick Fury (Samuel L. Jackson) shows up in order to convince them that they need to take Ultron down once and for all. After hours of deliberation they conclude that Ultron has a plan to create a superior race by combining the stolen vibranium with the Infinity Stone from Loki’s scepter. 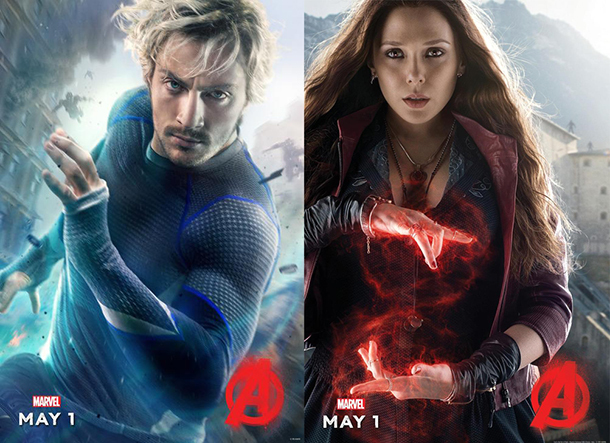 After reading his mind, Wanda discovers Ultron’s plan for human extinction, which leads the Maximoff twins to decide to change sides in order to help the Avengers. A battle ensues as Cap, Hawkeye, Black Widow, and the twins work to retrieve the newly created synthetic body from Ultron, but Romanoff is captured in the process! The hammer scene at Stark’s place was my favourite scene of the film … hilarious! James Spader was exceptional as Ultron. He was intelligent and arrogant with his plans, but he was also completely unhinged at times, which caused him to continuously unravel into violence. I love the role Paul Bettany evolved into near the end of the film! I can’t wait to see what happens between Natasha & Bruce … hopefully we’ll learn more in Captain America: Civil War or possibly Avengers: Infinity War Part 1. I was extremely excited that Barton’s storyline got a solid chunk of time in this film, and I thought his pep talk for Wanda was perfect. 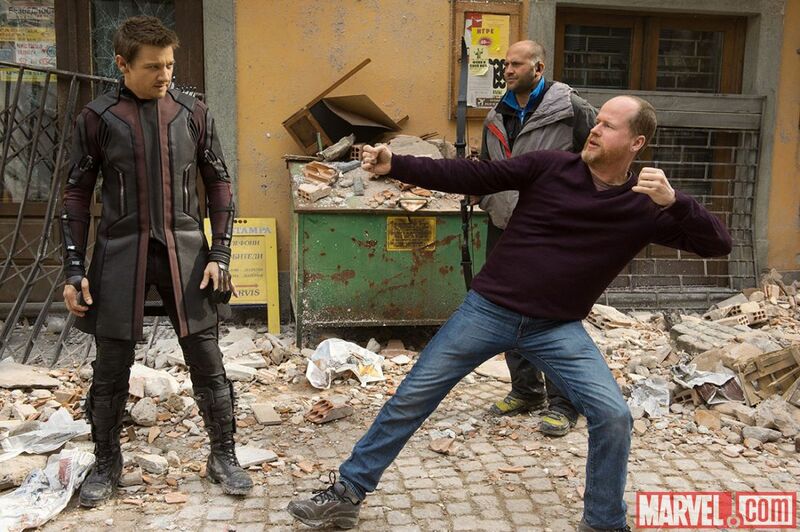 I think Joss Whedon is an exceptional director and writer, so I was happy that he was brought on for the sequel due to the clear success of the first film. 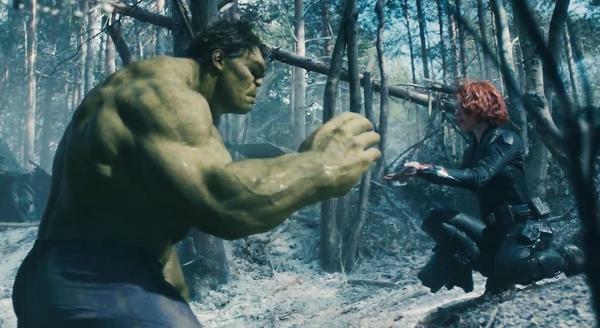 The style of Age of Ultron was similar to the first film, as it mixed serious issues with a continuous touch of humour. However, since both Captain America: Winter Soldier and Iron Man 3 chose very serious tones for their story-lines, there was a definite disconnect in this film. Whedon has chosen to pass the directing duties over to Anthony & Joe Russo, as they will be taking on the next several Marvel films featuring the Avengers. I know the Russo brothers from their direction and production of several Community and Happy Endings TV show episodes. However, most fans know them from their work on Captain America: Winter Soldier, so it will be interesting to see what direction they take with Captain America: Civil War. 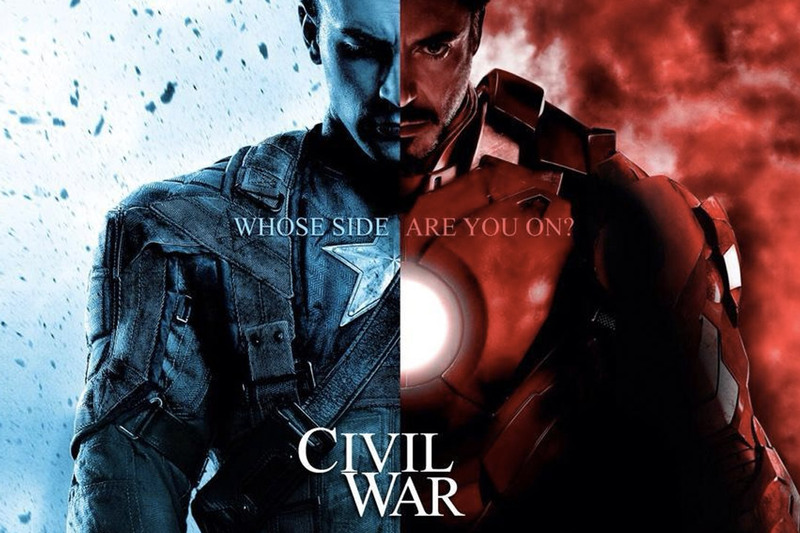 Lastly, I absolutely loved the continuous banter between good guy Cap and the arrogant and rebellious Stark. There were excellent witty lines throughout the film, but the “language” references were my favourite. I feel that these comments and the growing tension between the two on key ideas have provided an excellent set up for next year’s Captain America: Civil War.